i have been blessed to have been able to share a Christmas podcast with you for each of the past ten years. This year, instead of focussing on a particular verse in the Bible, i would like to invite you to think about the word ’tarry’, and the various instances it is used in the Old and the New Testaments. for example, Luke 24: 29 records that the risen Jesus “went in to tarry” with His disciples. on a prior occasion, at Gethsemane, both Matthew’s and Mark’s gospel record that our Lord Jesus invited His disciples to “tarry ye here”, and to watch with Him. in the excitement of preparing for and celebrating the festivities of Christmas, i believe our Lord’s words still ring true. Women Who Code is a professional community for women in technology, providing an avenue to pursue a career in technology and fostering environments where networking and mentorship are valued. 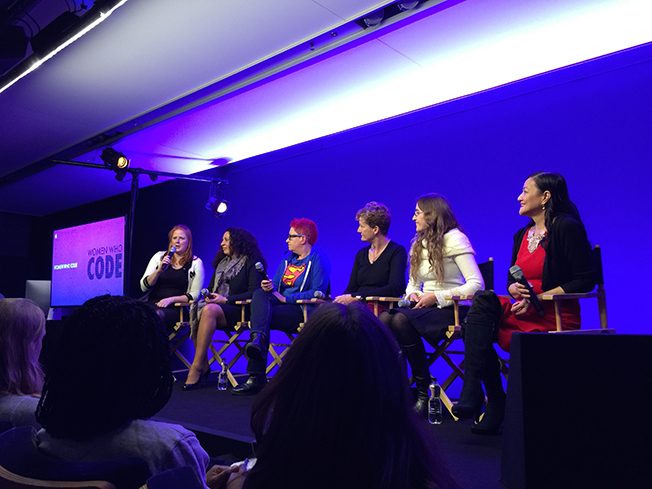 the panel was chaired by Gen Ashley, Director of Women Who Code London. the panel members were: Dr Sue Black, Vanessa Vallely, Lisa Grahame, Bridget Connell, and Isabella Degen. as part of my visit to Britain this month, Durham University has very kindly invited me to hold a seminar on Maker culture. if you happen to be in that part of the world on the 17th of this month, the seminar will be in Room E201, from 3 pm to 4:30 pm, at the School of Engineering and Computing Science.